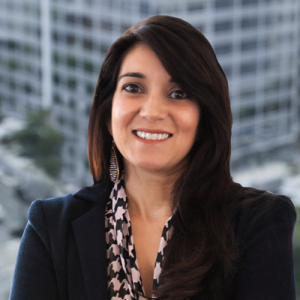 ARLINGTON, VIRGINIA – Hanover Research (Hanover), a leading provider of market intelligence and related analytics, announced the appointment of Vineeta Mooganur as Chief Growth Officer. In this role, Mooganur will manage the market-facing teams of Hanover’s Enterprise practice. Prior to joining Hanover, Mooganur was the Vice President of Sales and Partnerships at WiserTogether, a healthcare technology firm headquartered in Washington, DC. Mooganur also served as Managing Director of Sales, Service, and Product Support at CEB and as a management consultant at Bain & Company, working with clients in health care, retail, and technology. Mooganur holds a Bachelor of Science in Industrial Engineering from Kettering University, as well as master’s degrees in Business Administration and Manufacturing Management from Northwestern University’s Kellogg School of Management.